« LPL Huntsville, AL Scholarship Tickets! This entry was posted on Saturday, September 15th, 2018 at 3:00 pm	and is filed under Uncategorized. You can follow any responses to this entry through the RSS 2.0 feed. You can skip to the end and leave a response. Pinging is currently not allowed. Beth was using the ESV translation for Simulcast. Can you put the ibeens and the iboutas for download? Loved the simulcast!! We so appreciate hearing from you, Anita! We are going to hold off on sharing that list for now. Thank you so much for understanding! Today is my Day! I am the Bride of Christ. Thank you so much for such a rewarding day with the Word Of God. Thanks so very much for the ability you provide to all of us that have access to the internet and a computer to share with Huntsville. It touched my Heart and Soul. We have been truly Blessed by your teaching Beth. This was my first ever simulcast bible study. I am so blessed by the Lord to have been able to attend. I had a great time. I learned a lot today from Beth. She is an amazing author and speaker. I just love her sense of humor. God is so good. 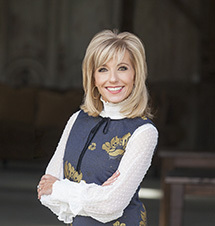 I look forward to more simulcasts in the near future from Beth Moore and other famous Christian Authors. I was at the event at my church in Nebraska.What a great time. Thanks for all the great information and reminder that I am an important person to GOD. Bless you and your team- my service dog Hunter and I worshiped with you all day and the Holy Spirit just filled my apartment and gave me the strength to Get up and receive today’s Word..My Bible literally threw up with all pink sticky notes And my dog and literally danced together!!! we have been alone most of the time and I fight the devil off every day!!!! I am not crushed because I have a Trumatic brain injury I am a bride of the Lord Jesus Christ! !but I know I’m not alone I am a woman of God and I know that I have all of you now as sisters in my life!!! I had difficulty getting the live Simulcast to play correctly for me, here in my apartment in south-central Wisconsin. So, I am going to be starting to watch it in a few minutes. I have been So excited for this event! So, having to wait until it is finished has just about driven me “crazy”! But, alas, I will be able to watch it for the next 30 days, from what I have read from Lifeway.com! Hallelujah! YES, she is! 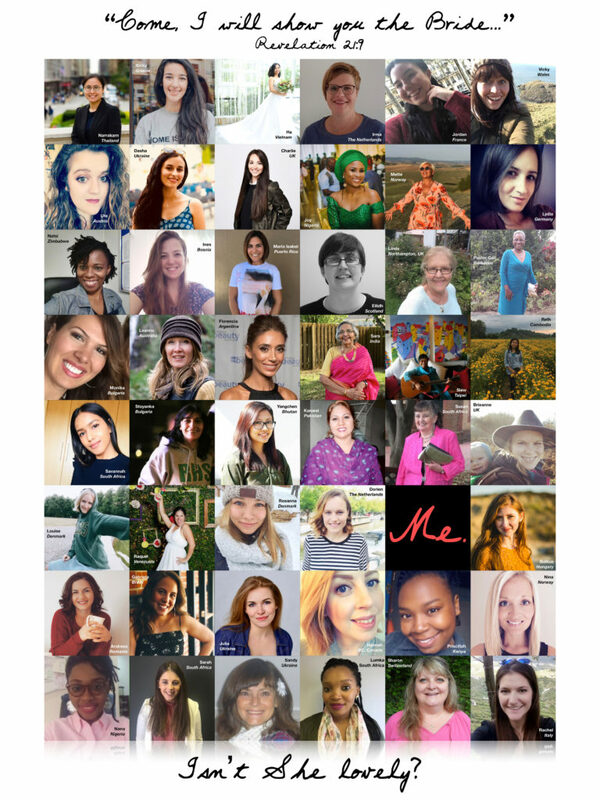 Isn’t it thrilling to know that so many ladies were/are able to join in on this wonderful Living Proof Live Simulcast from all over the United States and other countries! I am extremely grateful that Lifeway has chosen to allow individuals, like myself, to be capable of watching this Simulcast! Unfortunately, however, I had difficulty getting the live Simulcast to play correctly for me, here in my apartment in south-central Wisconsin. So, I am going to be starting to watch it in a few minutes. I have been So excited for this event! So, having to wait until it is finished has just about driven me “crazy”! But, alas, I will be able to watch it for the next 30 days, from what I have read from Lifeway.com! Hallelujah! How do you put your photo in the “me” square? On the Bride? You would have to download the graphic and use another photo editing app like Canva: https://www.canva.com/ to edit your own photo in. The graphic itself does not have editing capabilities within the blog. It was more so intended to be printed with just the “Me” text in the square. But you are definitely free to download and add your own photo with an editing app or print and add in your own printed photo! Blessings! Thank you for coming to Huntsville. Loved my time in the Word with you and the things I learned about the Bride and the prostitute. Thank you. Question: Who was the man in a suit sitting to the left of the stage? The one who helped Beth up and down the stairs? Was it her husband? In the midst of unfortunate and unfounded criticism of Beth, I wondered if it was some sort of church elder or some other male figure to show that she was teaching under his leadership, or something similar. Jus curious. Thanks again. Hi Tracy, he has actually worked with the LPL team for years as a security officer. Blessings! thank you for such a wonderful worship experience and message. Totally enjoyed this and was amazed in how God arranged for me to be there. Loved it. The simulcast was a blessing to me and my heart. It was a powerful message. I got to watch with a small group of ladies in central Utah. We all make a lovely bride. So many testaments to God’s faithfulness, love, grace, and mercy. May we shine brightly in this darkeness filled world. On a more personal note between sessions 2 and 3 sadly I got a dreaded phone call from my dad telling me my uncle had unexpectedly passed away. I stayed with my small group and tried my hardest to praise through the streaming tears. God has not forsaken me yet in my 30 years and He’ll see me through this heartache. So much of today’s message helped me start to process the heartache/grief. As you were speaking in session 2 my uncle was putting off the old fleshly tent and awaking to the face of Christ. In my suffering of grief I know the LORD will see me through and even though I’m at a loss and can’t make sense of it all. I’m not at a complete loss because of Him. I wanted to thank you for sharing God’s word today and for doing a simulcast. May God be glorified through me and my earthen vessel. I’m hoping to go back and watch it one more time before it expires, because session 3 is honestly a blur (a meaningful blur to me). Indeed she is! Dressed in the finest white linen with her lamp filled with oil and Oh so ready for her most excellent Groom! Beautiful time in Huntsville conference. Thank you for making me so aware that we have many all over this world in love with Jesus, we are not alone, we are the beautiful bride of Christ and we wait expectantly for His return. Thank you Living Proof team for spending yourselves on me to show me the freedom of Christ in me. His life, His death, His resurrection and His glorious coming again is the very breath and hope for my eternity. And until He comes back to get us, what a beautiful journey together. Moments like yesterday encourage us to just keep on moving and laughing, and loving! Thank you, Beth and Travis and team! I have never been to one of your events before, and I wasn’t sure why I was attending in the midst of such a busy and demanding season of my life. After being there and being renewed with such power in worship and truth, I know why God had me there. He ministered to me from his sweet Living Water! Thank you for the beautiful mosaic of part of his GORGEOUS bride. I long for the marriage supper of the Lamb. God bless you all! God met me at the simulcast in Las Vegas yesterday. He knew just what I needed. Jesus rocks! And Beth, you were rocking those shoes big time!! Dear Living Proof staff members, I was glad to attend Beth Moore simulcast on September 15th and would like to have the digital pass. I appreciate your ministry. I love to let other people know about your ministry. Hi LiChing! Individual digital passes are available for purchase at this link (this will grant you access to the content from the event for 30 days): https://www.lifeway.com/en/events/living-proof-live-simulcast/living-proof-live-simulcast-2018-individuals . Blessings! I paid for the simulcast under the understanding that I would get a digital pass to watch it later because I was unable to watch the day of. How do I get into that pass and view it? Hi Beverly, if you go to digitalpass.lifeway.com and use the email and password you used when you registered you should be able to see it under your digital pass home. If you experience any other issues accessing it, the LifeWay Simulcast team will be your best point of contact. They have a form at the bottom of this link where you can request help: http://media.lifeway.com/simulcastsupport.asp?bhcp=1 . Blessings! I had such a blast Saturday 15,2018 it’s just what I needed to hear I am worthy enough because I belong to our savior. Would love to also have a list of the 2 important words. I been and imboutas. Was an amazing blessed time. First time really hearing Beth. Was incredibly blessed. Hi Cindy! We are going to hold off on sharing that list for now. Thank you so much for understanding! This was such an amazing spiritual journey, and one that I will long remember. I am so thankful for for all of God’s blessings that were bestowed on all of us, and for the sincere love and devotion for God that you show. I received a wonderful blessing Saturday……It was great from the beginning to the dancing session at the end. Although I did write the article for the Glory To God International Ministries website, I didn’t want you to miss hearing the sweet story of these precious widows in Lagos, Nigeria reaching out to bless women in the greater Cincinnati area who attended your simulcast at Lakeside Christian Church in Lakeside Park, Kentucky. And, you must admit you haven’t been prayed for until a Nigerian Pastor prays for you. The article and videos are very short, but I think they will absolutely bless you. The event at Lakeside was powerful, and I know God is still doing a work in all those who attended. The profound truth He planted in my heart was “If He rose from the dead, you can get out of bed!” I have been doing just that the last couple of days, and He has been revealing so much to me as I go back over my notes. Thank you for your obedience to our Father and leading us to the path where we can discover wondrous things in His law (Psalms 119:18). I pray God’s blessings on you and your team. We were so touched by this. What a gorgeous depiction of the global bride! Thank you for sharing! We just did the simulcast here in New Zealand at Bay Baptist Church. We wanted to post a group photo of the blog, but we haven’t seen the place on this blog to do it. We would welcome any help. As always, the simulcast was a blessing in each one of our lives! My heart is still full of joy from the privilege of attending Beth Moore Living Proof Ministry Simucast event in Huntsville last Saturday! The presence of God was alive there and to celebrate the event with my friend and Beth and the worship team and 7 thousand plus is something I will never forget! And ladies from around the world too! Wow! God is so big and yet comes into our hearts tenderly that it is beyond words. Thank you Beth we all laughed cried and had the best time ! God is faithful! We are His Bride ! Had fun digging into God’s Word and hearing Beth’s teaching ! And of course 20 yrs of Celebration! Woo Hoo! Love and prayers! I attended the Living Proof Live Simulcast at Move Church in Woodbridge, VA. I am a new member of this church and attended the conference alone. I met many new women and it was so nice to attend Sunday service and recognized faces. I really enjoyed the teaching as well as the worship time together. This conference helped me to deepen my relationship with Jesus! Thank you and I look forward to the next one. Such a wonderful and moving simulcast! I was hoping Beth might post the script she had us recite with her. Does anyone know if she had done so or will be ? It was so uplifting! We so appreciate hearing from you, Arlene! We are going to hold off on sharing that list for now. Thank you so much for understanding! At the beginning of session 1, Beth joked about maybe getting worse with time and I felt God lay in my heart to say how much Beth’s teaching has meant to me over the years. If anything, I think her teaching has gotten much better with time spent with God and His Word. Thank you for your faithfulness. I purchased an individual digital pass to watch the Sept. 15, 2018 Simulcast. Is there a list of the points that Beth made during each session, including her reading about the bride? My digital pass expires on October 18, 2018. My customer reference # is 1073-DAAE-18DA. Hi Jan, While we have posted the pictures and videos, we have not shared Beth’s points or any readings from the Simulcast. Is there a friend that might share hers with you? Or, hopefully you can hop back on in the next week to capture the points! Blessings!